Patrick Giunta, P.A. has focused on the best interests of South Florida property owners, construction developers, investors and businesses ranging from startups to large corporations since 1987. He understands the stakes involved in development projects and business entities. Mr. Giunta is a dedicated lawyer who takes a results-driven approach in protecting their rights and pursuing the best outcome. 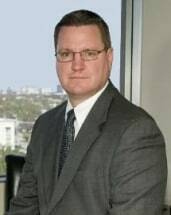 He combines extensive experience with comprehensive legal knowledge in complex areas of the law that involve business, real estate and construction. At his law firm, Mr. Giunta is committed to keeping up with changes in the laws and regulations, specifically changes in Florida's building codes. His clients invest hundreds of thousands, if not millions into a project. Adhering to state requirements is paramount for their success. Patrick Giunta, P.A. is also a seasoned personal injury lawyer who strives to level the playing field for his clients injured in an accident. He holds negligent parties accountable for car accidents and property defects while dealing with insurance adjusters aggressively. He has even pursued litigation against insurance providers engaged in bad-faith practices. South Florida residents looking for help on establishing wills and trusts can rely on Mr. Giunta for individualized advocacy and attention to every detail. In estate planning, he wants to provide them the peace of mind they and their families need. Patrick Giunta, P.A. is a reliable, dependable and honest lawyer who does not tell his clients what they want to hear. Rather, he is candid in clearly explaining their options in a language they can understand, not complex legalese.